On August 12, 2013, Student filed a request for a due process hearing (complaint) with the Office of Administrative Hearings (OAH), naming the Contra Costa County Probation Department (Probation). On August 26, 2013, the 45-day decision timeline commenced with the parties’ written waiver of the resolution session and formal request to advance the decision timeline. OAH granted a continuance on September 16, 2013, and bifurcated the issue of whether Probation is a responsible public agency for a separate hearing, which determined Probation to be a responsible public agency. Administrative Law Judge (ALJ) Peter Paul Castillo heard this matter in Martinez, California, on November 18, 19, and 20, 2013. Rebecca S. Williford and Elizabeth Dorsi, Attorneys at Law, represented Student. Student was not present at the hearing. The hearing commenced on November 18, 2013, and oral and documentary evidence were received. At the conclusion of the hearing, the matter was continued to December 20, 2013, at the parties’ request to submit written closing briefs. The record closed with the parties’ timely submission of closing briefs and the matter was submitted for decision. c. Provide him with special education services through an individualized education program (IEP)? 2Student had named County as a party. Student settled his matter against County and dismissed County as a party on October 2, 2013. Student asserts that Probation denied him a FAPE by failing to identify him as a minor who might require special education services and failing to assess him for possible eligibility to receive special education services. Additionally, during those periods before and after he was found eligible for special education services, in which he could not attend Mt. McKinley, the school operated by County in Juvenile Hall, because Probation placed him on security restriction, he contends that he did not receive any educational services, included those required by his March 13, 2013 IEP, which caused him to fail to make meaningful educational progress. Additionally, during those instances when Probation prevented Student from accessing educational opportunities, Student contends that Probation was required to assess him and develop an IEP that would provide him with a FAPE. Probation contends that for the period before County started its assessment and found Student eligible for special education services that the County did not provide education services to any regular education student while on security restriction. Additionally, Probation argues that it provided Student with necessary mental health services before and after his eligibility, which allowed him to make adequate progress in this area, and it never prevented County from assessing him or providing counseling services. Probation also claims that Student is not entitled to any relief because he made educational progress while in Juvenile Hall. This Decision finds that Probation did not have a child find duty because it did not prevent the County from accessing Student as he was not on any security restriction until right before County began its assessment. Additionally, while Probation is rightfully concerned about the safety and security of all Juvenile Hall residents and personnel, it has the legal obligation to ensure that its eligible wards receive special education services, even when disciplined or placed in protective custody. After County found Student eligible to receive special education services, Probation did prevent County from sending an aide into the housing unit to serve Student while on security restriction, which denied him a FAPE because Probation failed to make any attempt to see if Student could be safely educated. While Probation prevented County personnel from providing specialized academic instruction, it never prevented the delivery of counseling services, or prevented County from assessing him or developing appropriate IEPs. 1. Student is an 18-year-old young man in the 12th grade. He was incarcerated in Juvenile Hall, which is the educational responsibility of County, who operates Mt. McKinley within Juvenile Hall. Student entered Juvenile Hall on May 7, 2012, through October 5, 2012, when Probation placed him in a group home. Student returned from the group home and into Juvenile Hall on November 6, 2012. Probation placed Student in another group home on January 8, 2013, and he returned to Juvenile Hall on January 28, 2013. He remained in Juvenile Hall through August 9, 2013, when he was released from Juvenile Hall into his Mother’s custody. 2. No prior school district had found Student eligible for special education services before his entry into Juvenile Hall. The Mt. Diablo Unified School District (Mt. Diablo) assessed Student and found him not eligible for special education services, but found him eligible for a Section 504 plan.3 On January 3, 2013, Mother requested that County assess Student for special education eligibility. County started the assessment process after Student returned to Juvenile Hall on January 28, 2013. County found Student eligible for special education services on March 13, 2013, under the category of emotional disturbance. On August 9, 2013, the juvenile court released Student from Juvenile Hall into the custody of his Mother. Student has received home-hospital instruction from Mt. Diablo since his release through the date of the hearing. 3A 504 plan is an educational program created pursuant to Section 504 of the Rehabilitation Act of 1973. (29 U.S.C. § 794; see 34 C.F.R. § 104.1 et. seq. (2000).) Generally, the law requires a district to provide program modifications and accommodations to students with physical or mental impairments that substantially limit a major life activity such as learning. 4 In its closing brief, Probation asserted that the recent California Supreme Court decision, Los Angeles Unified Sch. Dist. v. Garcia (2013) 58 Cal.4th 175, supports its contention that it is not the responsible public agency at any time a minor is incarcerated at Juvenile Hall. However, that decision is not applicable because it involved a unique residency question for eligible students incarcerated in an adult correctional facility, for which no educational agency is specified in statute to provide special education services, which is not the situation in this case. 4. California law imposes the obligation to educate a Juvenile Hall ward on County. Probation has the legal obligation to provide County with adequate space at Juvenile Hall to operate a school, Mt. McKinley, and has the duty to cooperate with County’s operation of the school. Probation and County developed a memorandum of understanding to effectuate this requirement in 2009, which included provisions for ensuring all children in Juvenile Hall receive an education, and meeting the special education needs of wards eligible for these services. In the jurisdictional hearing, Mr. Pelle, Probation Director of Juvenile Hall, admitted that he did not know of the existence of the memorandum of understanding until recently, and therefore Probation was not implementing it. 5. Probation’s security program is a disciplinary program for major rule violations, a pattern of minor rule violations, or for wards who present an immediate threat to another person. Probation recognizes that if a minor is segregated from the rest of the population, the ward is entitled to a hearing to contest being put on a security level or upgrade in the security level. This is applicable to wards on any of the three levels of security separation. Only wards on Special Program have the opportunity to attend Mt. McKinley. Probation’s written policy does not discuss access for County personnel to provide services if the ward on a security level is not permitted by Probation to attend Mt. McKinley. 8. Probation prevents wards on the highest level of security program from attending Mt. McKinley, as the wards are confined to their rooms except for outside access for an hour a day. Probation maintains authority to decide whether County personnel can access a student on Maximum Security. Until recently, Probation’s policy was that a ward on Maximum Security could not be seen by County aides because of a threat to the tutor, Probation staff, other wards, or that student. 9. Probation did not place Student on any security restriction before his first group home placement, nor after his return through his second group home placement on January 8, 2013. Student attended Mt. McKinley upon his entry into Juvenile Hall, and received no special education services until right after the March 13, 2013 IEP team meeting. Student presented no evidence that Probation interfered with County’s legal obligation to seek and serve students who might require special education services, like Student. Additionally, even if Probation placed Student on security restriction, County would not have sent an instructional aide to tutor Student because he was a general education student. Therefore, Probation did not have a child find obligation because it never prevented County from seeing Student and making a determination whether it should assess him. 10. Student contended that, during the times he was on one of three security levels and Probation prevented County from providing special education services, Probation had the legal obligation to implement his IEP and to comply with other special education requirements, such as conducting assessments and determining whether Student might require additional special education goals, services or placement. 5 Probation, asserted that it did not have an obligation to assess Student. Further, while not conceding that it had to provide Student any special education services, Probation asserted that it demonstrated that it appropriately restricted access for safety and security due to Student’s erratic and dangerous behaviors. 5 Student attempted to argue at this hearing that Probation denied him a FAPE anytime it prevented him from attending Mt. McKinley. However, this contention was rejected in the jurisdictional hearing and is not considered in this decision. 11. Student’s mental health progressively became worse during his incarceration and group home placements. The two group homes had Probation return Student to Juvenile Hall because his conduct became more erratic and violent, assaulting staff and other residents. Probation had a Mental Health psychologist, Dr. Edward Donnelly, regularly visit Student because of his behaviors in Juvenile Hall. Upon his return in January 2013, Student reported hearing voices. On February 5, 2013, Probation placed Student in Maximum Security for threatening and spitting on staff. Probation placed Student in a safety smock after he physically attacked staff and was physically restrained. 12. Student’s behavior improved subsequently and a week later he had transitioned down to Special Program, but expressed paranoid and delusional thoughts, such as believing that staff spat in his food before serving him. Student continued to remain on Special Program during February 2013, evidencing symptoms of auditory hallucinations, inappropriate laughing, and facial twitching. On March 11, 2013, Dr. Donnelly visited Student and Student became extremely agitated, accusing Dr. Donnelly of blowing mucus into his eye, after accusing other residents and staff of doing the same into his food. Finally, on the day of Student’s initial IEP team meeting, March 13, 2013, Probation placed Student on Security Risk because he spat on another resident who he accused of putting mucus in his food. 13. As of the March 13, 2013 IEP team meeting, he had only attended Mt. McKinley for a couple of days between his January 2013 return and the March 13, 2013 IEP team meeting because his behaviors and conduct led Probation to place him on a security restriction and not to allow him to attend school. Because Student was still a regular education pupil, County did not send an aide into his housing unit to provide instruction. 14. The March 13, 2013 IEP provided Student with 90 minutes a day of specialized academic instruction, pushed into the general education classroom. Student’s Parents consented to this IEP. 15. After the IEP team meeting, Student remained on security restriction, moving at first between Special Program and Security Risk. He continued to have hallucinations and accused staff and other residents of spitting into his food and shoes. In April 2013, Student started to defecate in the shower and threw excrement in his room, and was extremely angry and stressed out. In early April 2013, Probation placed Student in Maximum Security as he attempted to escape and had to be restrained. Student remained in Maximum Security, until mid-April when he went down to Security Risk for the rest of the month. During April, Dr. Donnelly primarily spoke to Student from outside Student’s door because of the safety risk Student’s posed, especially Student getting agitated when he believed someone, including Dr. Donnelly, was “flicking boogers” at him. 16. For most of May 2013, Student fluctuated between Security Risk and Special Program, and his behavior remained rather stable. However, on May 23, 2013, Student totally decompensated as he was smearing feces in his room, and Dr. Donnelly made arrangements for Student to have a psychiatric evaluation at a local hospital. On May 25, 2013, Student was transferred to a psychiatric unit at another hospital as he continued to exhibit the same behavior. Student was released back to Juvenile Hall on June 17, 2013, and while he still experienced delusions, these could be countered by serving Student food in sealed containers which was opened in front of him to alleviate the worry of people spitting into his food. Student also began to take medication. 17. On July 9, 2013, after Student’s mental health hospitalization, County increased his counseling to three times a week, 20 minutes a session, and implemented a behavior support plan. After Student was finally released on August 9, 2013, Student again was hospitalized after he stopped taking his medications and started to display behaviors that demonstrated to a threat to himself and others. 18. The evidence established that Student received counseling services when Student was on any of the three security levels from the March 13, 2013 IEP team meeting through Student’s discharge. Suzanne Heim-Bowen, School Psychologist with County, established that except for rare situations, she has provided counseling services in the housing unit, including to Student. Ms. Heim-Bowen eventually conducted Student’s counseling in the visiting area so Student would not be distracted by other youths. As to counseling provided by Mental Health on behalf of Probation, Student did not present evidence that Dr. Donnelly could not enter the housing unit to provide counseling services to Student when he was on a security level. Therefore, Student did not establish that he did not receive counseling services in his March 13, 2013 IEP when prevented from attending Mt. McKinley because he was on a security level. 19. County’s procedure at all times relevant to this action was for one of the instructional aides to telephone the probation counselor on each housing unit to find out which students would not attend Mt. McKinley. At times relevant, the probation counselor informed the instructional aide of the particular security level for the student. The instructional aides made a plan to visit students with IEPs to provide the specialized academic instruction in the housing unit. County typically did not provide direct academic instruction to general education pupils. For students with IEPs the aides prepared a log sheet for each student that stated the date; the reason why the student did not attend Mt. McKinley, including the particular security level; the amount time the aide worked with the student, if any; which aide worked with the student; the housing unit; and, if the aide could not provide the academic instruction, the reason why. Probation only documented the underlying incident that caused Probation to place the student on a security level, not how long the student remained on a security level or whether that status prevented County from providing education services. 20. County instructional aide Leslie Bruin was convincing that she and her colleague, who trained her, followed this procedure for students with IEPs and recorded each day an eligible student did not attend Mt. McKinley and therefore needed to receive tutoring in the housing unit. The first entry in the County work log for Student was March 19, 2013, and the last is May 24, 2013, when Student was hospitalized. Student’s work log established that there were 42 days on which County was to provide tutoring to him in the housing unit during the 2012-2013 school year. Of these 42 days, Student refused to see the County aides on 16 days, Probation did not permit Student to see an aide on 17 days, and one day he was not seen as he was in the visiting room. Additionally, there were days on which a County aide provided less than one hour of instructional services, but the decision to provide less than one hour was made by the County, not Probation. 21. Ms. Bruin persuasively testified as to the procedure that she and her colleague followed. Student did not establish that Ms. Bruin and her colleague failed to document on the work log all times when Probation informed them that Student would not attend Mt. McKinley, or that the 34 days of missed instruction on County work log was not accurate. Therefore, Student only established that Probation prevented Student from receiving 17 days of specialized academic instruction when it placed him on a security level and did not permit him to attend Mt. McKinley. 22. Of these 17 days of missed academic instruction, Probation attempted to demonstrate that Student presented an extreme safety and security risk. Dr. Donnelly’s notes indicated that he often talked to Student through his room door during this period because of the threat Student posed after his return to Juvenile Hall on January 28, 2013, through the May 24, 2013 hospitalization. While Probation’s conduct appeared reasonable when Student engaged in such conduct, like smearing feces, or becoming extremely agitated because he erroneously believed staff spit into his food and other residents flicked mucus at him, Probation should have taken more steps to stabilize Student or provide additional staffing so he could be safely educated. Additionally, there is no indication that Probation made the juvenile court aware of this situation to seek a higher level of care residential placement to better meet Student’s mental health needs. 6 Dr. Leone is a professor at the University of Maryland in its Department of Special Education, and has taught there since 1981. He was also the director of the National Center on Education, Disability and Juvenile Justice from 1999 through 2006, and published numerous scholarly articles on providing education to incarcerated juveniles, especially those needing special education services. Dr. Leone has also consulted with correctional facilities on providing educational services to incarcerated juveniles, and been an expert in these matters for court proceedings and consent decrees, for the Los Angeles County Office of Education and its juvenile court school at the Challenger Memorial Youth Center, among others. 23. Student’s expert, Peter Leone, Ph.D.,6 provided numerous examples as to how other public agencies who operate correctional facilities and are also responsible for providing educational services or agencies similar to Probation, like Los Angeles County Probation Department, are able to ensure that wards receive educational services, even those segregated into Maximum Security units. Probation did not rebut Dr. Leone’s testimony that educational services could be provided to students on a juvenile hall security level, such as by use of a separate classroom with additional correctional staffing or by better coordination between Probation and County. 24. Finally, after Student returned to Juvenile Hall on June 17, 2013, through his release on August 9, 2013, he attended Mt. McKinley. Probation provided sufficient staffing to monitor Student in his classroom, and at no time did Student present a safety and security risk that Probation prevented him from attending Mt. McKinley, which supports Dr. Leone’s contention that Student could be educated with adequate staffing and supports. Additionally, Probation never sought approval from either OAH through an expedited hearing process or a juvenile court order to prevent County access to Student. Accordingly, Probation did not demonstrate that during the 17 days in which it prevented County aides from seeing Student that Student was such a safety and security threat, and that with adequate steps Student could be educated. 25. Student contended that when Probation was responsible for providing Student a FAPE, Probation should have assessed him in all areas of suspected disability and held IEP team meetings to update his IEP, especially after his psychiatric hospitalization on May 24, 2013. Probation asserted that even if it was required to provide educational services because it would not permit County to serve Student, County was still able to assess Student and conduct IEP team meetings. 26. Student did not establish that Probation’s actions prevented County from assessing Student or obtaining information regarding his suspected disabilities based on information from Mt. McKinley Principal Rebecca Corrigan and Ms. Heim-Bowen. Probation did not keep County personnel from assessing Student at the end of January 2013 even though he was on security restriction. While Probation and Mental Health had important information regarding Student’s emotional problems that affected his ability to make meaningful educational progress, County made little or no effort to obtain such information from Probation or Mental Health. 27. After the assessment, County should have invited Probation to attend the IEP team meetings where Probation could have shared information, or take more steps to obtain information from Probation before the IEP team meeting. County could have done the same by contacting Mental Health therapists, who provided service on contract with Probation, after obtaining a release of information. 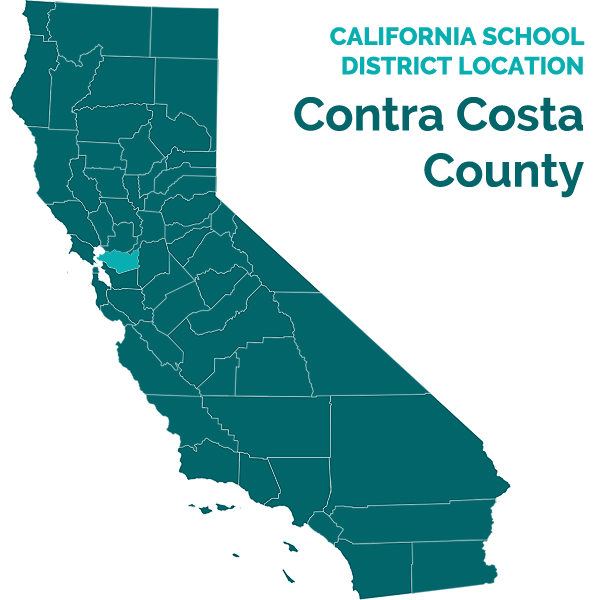 Also, County decided not to make placement offers other than its general education classroom as it erroneously believed that it could not offer a placement into a residential facility that might better meet Student’s mental health needs. Therefore, while Probation and Mental Health had important information concerning Student, Probation did not hide this information and County could have easily obtained it during those times when Student could not attend Mt. McKinley. Accordingly, Probation was not required to assess Student or hold IEP team meetings to update or develop IEPs while Student was in a security level and prevented from receiving educational services. 7 Unless otherwise indicated, the legal citations in the Introduction and Juvenile Hall Responsibilities sections are incorporated by reference into the analysis of each issue decided below. 14. While the applicable statutes and regulations require Probation to cooperate with County concerning the provision of educational services, including special education, to all wards in Juvenile Hall, that duty to cooperate does not make Probation equally responsible with County to educate wards in juvenile hall. This duty to detained wards does not impose a separate legal obligation in itself upon Probation to provide a ward with FAPE, which would include meeting the child find obligations. However, if Probation prevents County from providing a student with access to special education services, then Probation becomes the responsible public agency to ensure that the student receives a FAPE as there is no other government agency that can provide the federally mandated special education services. 15. Student asserts that Probation should have assessed him for special education eligibility from his entry into Juvenile Hall because of its knowledge of Student’s mental health issues that may have made him eligible for special education services. Probation asserts that the County had the obligation to assess Student upon his entry into Juvenile Hall and that Probation never prevented County from assessing Student. 18. Student did not establish that Probation prevented County from assessing him for initial eligibility to receive special education services from May 7, 2012, through January 3, 2013, when Mother made the assessment request. The fact that County declined to assess Student, despite his continued decompensating behavior and did not ask Probation or Mental Health for more current information is not the responsibility of Probation. Finally, Probation did not prevent Student from attending Mt. McKinley for any significant time before County started the formal assessment in late-January 2013. Accordingly, Probation did not have a child find duty to assess Student. 19. Student asserted that, during those times in which Probation was a responsible public agency, it was required to consider other placements because it knew that his unique needs could not be met in Juvenile Hall. Probation contended that even during those times when Probation was a responsible public agency for academic services that County retained responsibility to determine Student’s educational placement. 21. Student failed to establish that Probation undertook any actions to prevent County from considering a continuum of placements when making a decision where to educate Student. The fact that County did not consider any placement options other than its general education classroom at Mt. McKinley as it mistakenly believed that it could not offer a certified non-public school or residential placement was not the responsibility of Probation, even though Student was incarcerated. County still had the obligation to consider all placement options, including a non-public school. (Los Angeles County Office of Educ. v. C.M. (April 22, 2011, No. CV 10–4702 CAS (RCx)) 2011 WL 1584314; Student v. Sacramento City Unified School District and Sacramento County Office of Education (2013) Cal.Off.Admin.Hrngs. Case No. 2013010137.) Accordingly, Student did not establish that Probation had a legal obligation under the IDEA to consider other placements during those times in which it prevented Student from receiving educational services from County. 22. Student contended that Probation was required by law to assess him and develop IEPs that met his unique needs, especially his academic, mental health and behavioral needs, during those times in which Probation prevented him from receiving educational services from County. Probation asserted that it never prevented County from developing appropriate IEPs during those times so any failure to develop IEPs was County’s responsibility. 24. Student did not establish that during those times in which Probation prevented County from providing educational services that Probation prevented County from developing IEPs that met his unique needs. County developed an IEP for Student in March 2013 after its initial assessment and an amendment in July 2013 after Student returned to Juvenile Hall after his psychiatric hospitalization. Whether these IEPs met Student’s unique needs, was County’s responsibility. County never stated that Probation’s conduct prevented it from developing an appropriate IEP. Therefore, Probation did not deny Student a FAPE because it was not Probation’s responsibility and Probation did nothing to prevent County from obtaining information needed to develop an appropriate IEP. 25. Student asserted that during those times when Probation was the responsible public agency for academic services that Probation should have conducted a functional behavior assessment. Probation contended that it never prevented County from assessing Student during the time in question. 27. County did not believe that it had to assess Student until Mother made her January 3, 2013 request. After the March 13, 2013 IEP team meeting, County did not find it necessary to further assess Student for possible changes to his IEP despite Student’s repeated absences from Mt. McKinley due to his deteriorating mental state. Student did not establish that Probation undertook any activity that prevented County from assessing Student. Accordingly, Student did not establish that Probation denied Student a FAPE by not assessing him after County found him eligible for special education services on March 13, 2013, especially since it was at all times County’s duty, not Probation’s duty, to do so. 28. Student asserts that during those times in which Probation was the responsible public agency for academic services, Probation denied him a FAPE by not implementing his IEP. Probation asserted that during those periods that it had legitimate security and safety reasons to prevent County aides from serving Student either because it did not have adequate staffing to safely monitor Student and the aide, or because Student had engaged in conduct that justified his placement in one of the security categories. 31. The County’s work logs for Student established that there were 17 days in which Student did not attend Mt. McKinley while on a security level and in which Probation refused to permit the County aide to serve Student. Probation was not responsible for those days in which Student was not available when he was in court because his presence was required by the juvenile court, when Student refused to see the County aide, or when County did not provide the tutoring by its own accord. Finally, Probation did not limit the time for any visit when County aide’s provided services. 32. For the 17 days Probation refused County access to provide educational services, Probation contended that Student presented too great a risk due to his hallucinations, erratic behavior, and belief that people where spitting on his food or flicking mucus at him. However, on the 11th day that Probation prevented County aides from seeing Student because of the security risk he posed, Probation should have undertook steps to request a hearing to change Student’s placement if he could not safely attend Mt. McKinley or have County personnel tutor him. Additionally, Dr. Leone was convincing in establishing the myriad of options available to Probation to ensure safety and security during a student’s instruction, and that County personnel could safely have provided academic instruction to someone like Student. Additionally, state regulations9 require Probation to ensure that wards receive certain services, such as education, while on a security level. Finally, Probation failed to demonstrate that Student presented such a safety and security risk that the County aides could not safely serve Student, especially when Student was able to attend Mt. McKinley after his return from the psychiatric hospitalization with appropriate staffing even though he was still having auditory and visual hallucinations. 9 California Code of Regulations, title 15, sections 1300 et seq. 33. Probation’s obligation was to make Student available for educational services by County when Student was on a security level and not permitted to attend Mt. McKinley. When Probation did not permit County to provide these services, Probation had the obligation to provide these special education services if it could do so safely. In this case, the only special education service that Student did not receive was specialized academic instruction on 17 days for which Probation did not establish that it was unsafe to educate Student. Probation’s placing Student on security level did not prevent the provision of any counseling services from either the school or Mental Health, nor did it interfere with the ability of County to assess Student and develop an IEP. Therefore, the evidence established that the only special education services or processes that Probation did not permit County to provide and for which it was responsible involved 17 days of specialized academic instruction. 10 Before hearing, Probation submitted a motion to limit Student’s proposed resolutions to what Student requested in the complaint to preclude an award of counseling related services. However, Probation’s request need not be addressed as Student did not establish that he was entitled to compensatory counseling services. 11 Before hearing, Probation submitted a motion that requested the introduction in evidence of the settlement agreement between Student and County. Student objected to the introduction of the settlement agreement because it was a confidential agreement and had no relevancy to any of the issues for hearing. The ALJ ruled that the settlement agreement was admissible and relevant only to the awarding or implementation of any possible remedy. 13 Dr. Alice Parker, Student’s expert in the jurisdictional hearing, opined that one hour a day from a credentialed special education teacher would be appropriate for a student not permitted by Probation to attend Mt. McKinley. Dr. Parker oversaw the California Department of Education’s quality assurance process from 1997 through 2005, which oversees complaints made against public agencies regarding special education services. Student accepted in that hearing that one hour of tutoring would be appropriate for a missed school day, and Probation did not present any evidence to the contrary. To the extent that there is any conflict between Dr. Parker and Dr. Grandison, Dr. Parker is more credible based on her more extensive knowledge of special education instruction, as noted in the jurisdictional hearing, than Dr. Grandison. 39. However, Dr. Grandison’s formulaic proposal of two hours of educational service for one hour of missed education service is not supported by any research or other evidence. Additionally, Dr. Grandison did not separate how much of Student’s lack of educational progress was caused by County as opposed to Probation, or distinguish between educational loss caused by arguably unqualified teachers from hours of instruction missed. 40. While Dr. Grandison’s opinion as to amount of compensatory education Student requires is not persuasive, Probation’s contention that Student made adequate educational progress was not supported by the evidence either. Probation failed to produce adequate evidence to rebut Dr. Grandison’s opinion about Student’s lack of progress. 41. Student’s IEPs and County’s and Dr. Grandison’s assessments established his academic deficiencies and lack of meaningful educational progress, which was caused in part by Probation’s conduct in preventing County from serving Student. Therefore, it appears equitable that Student receive 17 hours of specialized academic instruction through a qualified person of Student’s choice, such as the non-public agency providing tutoring in the settlement agreement with County. 1. As compensatory education, Probation shall fund and ensure delivery by June 30, 2014, of 17 hours of individual academic tutoring by a credentialed special education teacher or certified non-public agency of Student’s choice. Education Code section 56507, subdivision (d), requires that the hearing decision indicate the extent to which each party has prevailed on each issue heard and decided. Student partially prevailed on Issues 3a and 3c. Probation partially prevailed as to Issues 3a and 3c. Probation prevailed on Issues 1a, 1b 1c, 2a, 2b, 2c, 2d, 3b, and 3d.